Well, it’s actually an animal. And that animal is the spotted skunk. Like the other three groups of skunks, spotted skunks are capable of spraying a strong unpleasant scent as a form of defense. 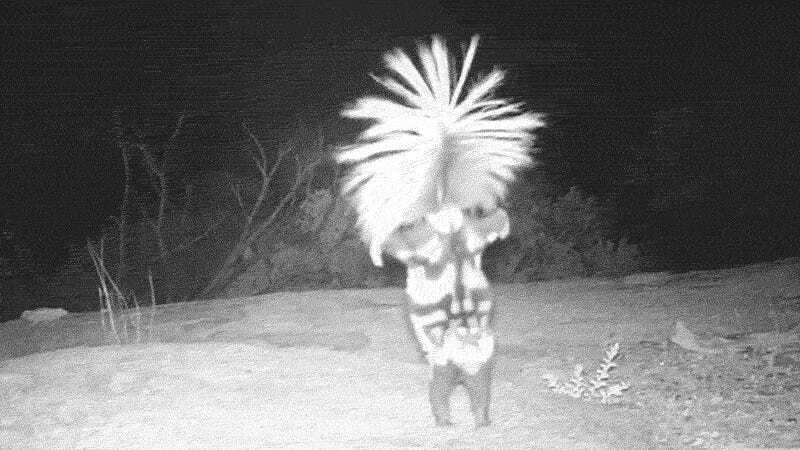 But before spraying, spotted skunks will sometimes go into a handstand and attempt to intimidate any would be aggressors like this wildlife camera.